Keeping your house neat can be hard, especially for people who have demanding schedules and not much spare time. They often don't want to spend the extra time they have on cleaning tasks. Usually, the easiest method to maximize the time that is available is to make use of these professional recommendations from Local House Cleaners. By using these tips, keeping a house dirt free becomes an easier task. 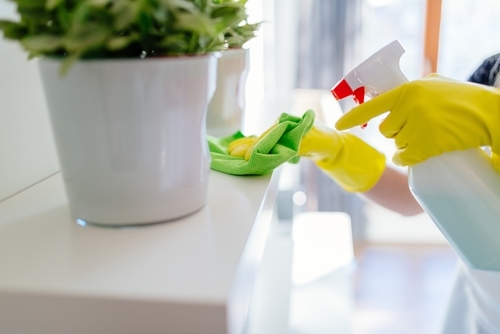 By making great use of these recommendations, everyone can ensure that they have a neat and tidy house, regardless of how hectic the rest of their day is. 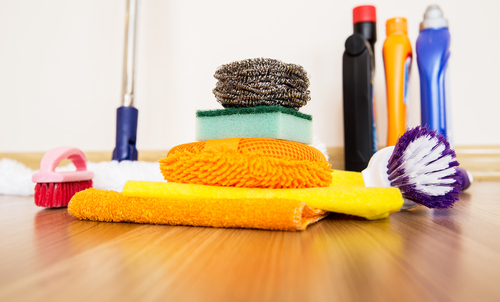 Keeping your cleaning supplies organized makes it easier to get as much done as possible in a short period. If you need to spend time looking for these detergents, you'll not get a great deal completed. Rather, keep them together in a cleaning basket so that you could just grab it and get started as soon as possible. Do you find that the pace of life has quickened over recent years? People seem to be busier than ever. Consequently, the trend for home cleaning services has practically quadrupled over the past few years. People want cleaners to do the everyday mundane tasks for them. But letting someone into your home is a big risk. What about your valuables? Will they break your expensive ornaments? Can you trust your cleaner? Let’s look at some top tips on how to go about finding the best cleaning service for you. * Many house cleaning services advertise the fact that they are police vetted. You need to see proof of this. You also need to see references. I would even check up on these too - they could be false. * You need peace of mind that if they do accidentally break one of your expensive ornaments, that they are insured to cover the cost. Check that they are covered for accidental damage. * They should be friendly but professional. Too many house cleaners end up sipping coffee and chatting. This is not professional and not what you pay them for. They should not take any breaks while cleaning your home. *Going for the cheapest rate is not always the best strategy. If cleaners charge a slightly higher rate, then they have to live up to that expectation. Sometimes cheap spells tacky and not professional. * It is straightforward to carry out research for house cleaning rates. Do it online; it is free, anonymous and quicker. *Cleaners should be flexible towards your situation. Do they do regular weekly cleans, fortnightly cleans and one-off total house blitz cleaning? * Be aware that it is the norm to be charged a higher rate for your first clean. * A house-cleaning checklist is a way to ensure that you get the things done and cleaned what you want. 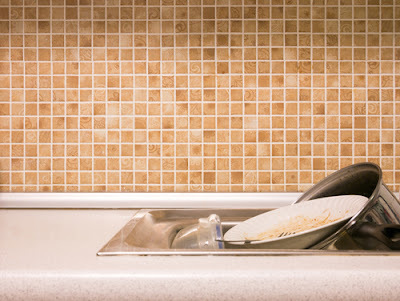 You may want things done and cleaned differently from one week to another. So by having your cleaner working to your checklist makes sense to get all your tasks completed. * If you need heavy duty jobs done such as construction clean-up, garage cleaning or post-moving, then think about using a robust specialized cleaning service. *Have you given any thought into whose handling the cleaning products? Do you want your cleaner to bring their own? Or, are you happy to provide the cleaning materials for them? Let's take a look at some incredible tips that can help you make your kids to take part house cleaning procedures. Before you begin the cleaning process with your children, you have to ensure that your desires are realistic. Try not to expect that they will be flawless and will do every task like you would've done. Keep in mind that every effort should be appreciated. Your kids will show signs of improvement in time and will enhance their cleaning abilities. Try not to give your children excessively entangled assignments. If they are 3 or 4 years of age, putting toys back on the shelf/cupboard is sufficient. You can set little objectives. Children simply love to be part of any activity, even when it's about making your home clean and tidy. All you have to do is to give them directions and instructions. Your children will gain knowledge from the lifestyle that you give them. If you like to clean and consider it something that should be done, it is more obvious that your children will consider it similarly. If your children's room is excessively chaotic and you can hardly go through from one corner to another without hitting on some toy, then you have to think about an approach to make your kids clean the room as quickly as possible. Don't just get mad, but have a talk with your kids and gently ask them to clean the room. Every child loves to have fun! But, they see cleaning as a boring, exhausting and uninteresting thing to do. It might be one golden opportunity for you to educate your children how to do cleaning appropriately. Show them all that they have to know. Towards the starting, don't allow your children to sit bored and alone. Begin cleaning together as it will make them more ready to take part. They will build up their cleaning abilities in time. They will likewise build up an awareness of other's expectations, which will help them to deal with their own messes. Try to encourage the efforts of your kids while they're cleaning, even if you see that they could perform better. Try not to show them that how bad their work has been done. Remember that they will improve in time and soon the cleaning will be done in the right manner. You simply need to give them an opportunity to learn and also some proper guidance. There will be other factors to take into consideration when hiring a cleaner. However, these tips should help you start your thinking process of what to look out for and what you want from your cleaner.Some cleaners market their services by boasting that they clean your home faster and more thoroughly than their competitors.